FSC-1: Spin-in collar for fiberglass plain. FSC-4: Spin-in collar for fiberglass with scoop. FSC-5: Spin-in collar for fiberglass with damper. 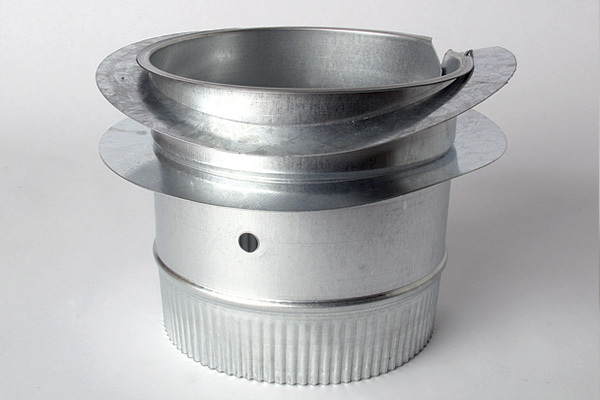 FSC-6: Spin-in collar for fiberglass with scoop and damper. FSC-R4: FSC for R-4 ductboard. FSC-HD: FSC with heavy-duty hardware. FSC-SO: FSC standard 2" stand-off. FSC-SOE: FSC with Miami Tech's 2" stand-off.